Still women are being sold and given in watta satta and they are foced into marriages with the person of age of their grand father. They are being deprived of their right to choice given by national, international and religious law. Sakina is victim of such practice near Jhudo. 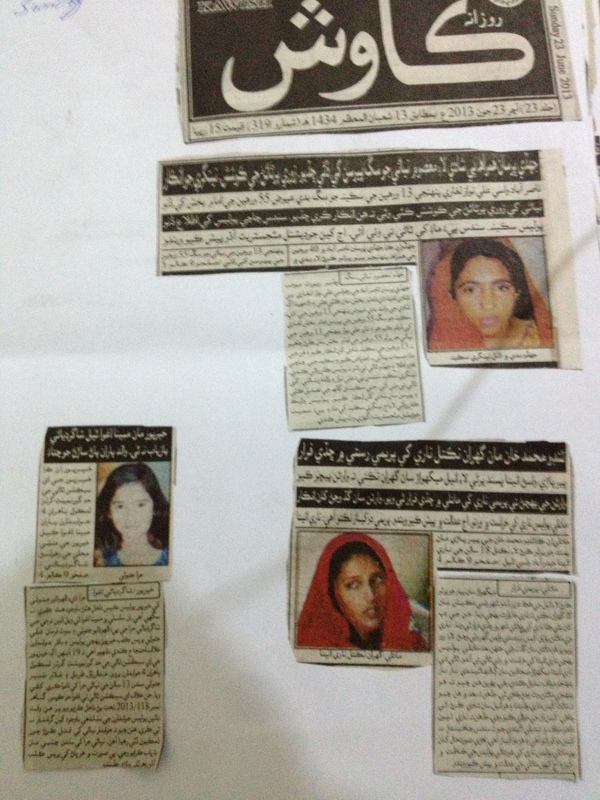 Hira, 13 years, was abducted by four people. Yet not recovered by Khairrpur police after many days passed. It will have negative impact on gils education and enrolement. Aneeta, 18 years old, meghwar eloped with her man of choice but when parents followed them and caught them aneel left her and ran away. Nobody knows the fate of Aneeta yet.